Recently, I wrote that I believed Hollywood scion Jaden Smith wearing a superhero costume to his high school prom had to be some kind of sign or signal. And I was right. It was just revealed that the 16-year-old will play DC Comics’ character Static (aka Static Shock) in an upcoming series to be broadcast on the Internet. The information was revealed by actor Tyler James Williams of The Walking Dead during a recent interview in which he was discussing the dearth of diversity in superhero flicks. 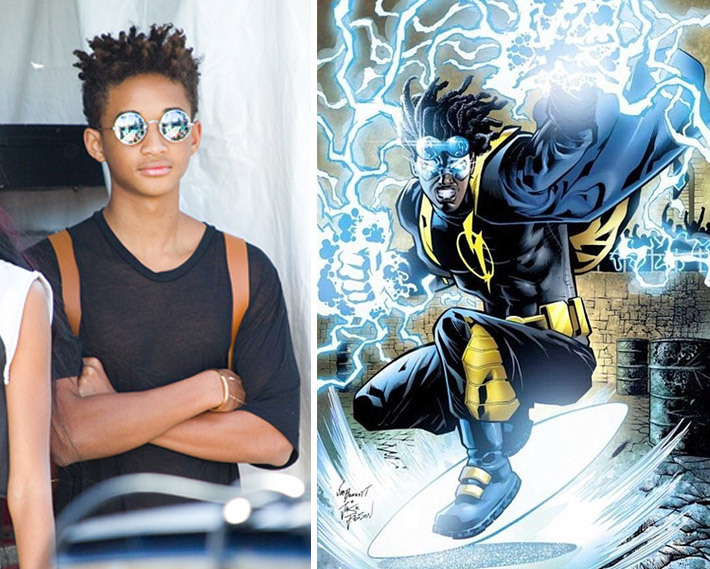 Static’s main power is his ability to make electricity do his bidding, and seeing though Jaden is about the most electric teen actor on the planet right now, the choice couldn’t have been more appropriate. He’ll obviously get some superhero pointers from his pop, who is currently filming his role as villain Deadshot in the upcoming DC comics inspired flick Suicide Squad. Dad’s movie is set for an August 2016 release, but no word yet when Jaden’s project will spark the web. We’ll keep you posted.